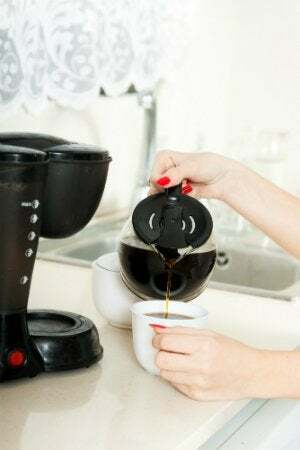 You'll serve up a fresher pot of coffee tomorrow morning if you take some time today and follow these easy instructions to give your coffeemaker a good cleaning. Trust us—you'll thank yourself later. 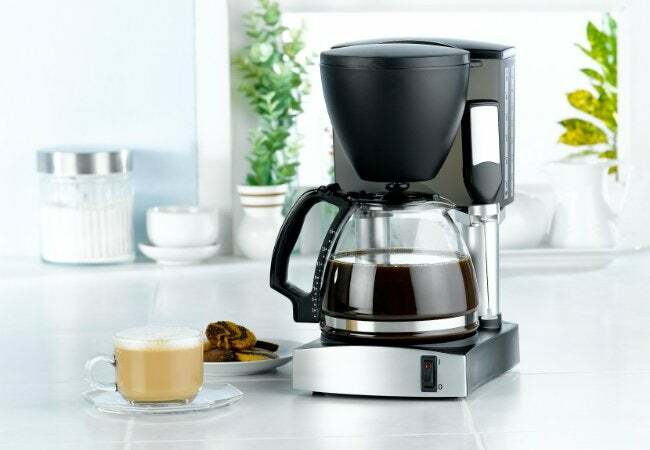 Bleary-eyed fumbling for that first cup of joe can lead to spills, yet despite this repeated abuse during the morning rush, your coffeemaker may be one of your most neglected kitchen tools. Sometimes it’s those appliances that we use every single day that accumulate the most dirt and germs—and the least TLC. Think back now: When was the last time you gave your coffeepot a thorough cleaning? The worst part is, this isn’t just about aesthetics: The mineral and coffee oil buildup in your appliance can actually be making your java taste terribly bitter—and that’s no way to start your day. To brew a fresh cuppa that you and your family can enjoy, follow these simple steps that will get your coffeemaker back into pristine condition. First, fill your coffeemaker’s water chamber with equal parts water and white vinegar, then start the brew cycle. Halfway through the brew cycle, turn off the coffeemaker and let it sit for 30 minutes. This wait time will give the vinegar a chance to do its job, which is cleaning and disinfecting the insides of the appliance. When the time is up, turn the coffeemaker back on and let it complete its cycle. Let it cool. Pour cool water into the water chamber and run the machine again without stopping. Let it cool. Repeat two or three cycles of clean water to make sure all the vinegar is removed—that can taste more bitter than the burnt-on coffee oils. Once the carafe and machine have cooled, wash the inside and outside of the carafe with warm water and dishwashing liquid using a dish sponge. Next, turn back to the countertop appliance and thoroughly wipe down the entire outside, paying extra attention to crevices and buttons. Now’s the time to clean off any last sticky spot that might be left over from a morning spill. Dry both the machine and carafe thoroughly with a soft towel, then fill the water reservoir again—because all that work deserves a fresh brew!